At various points in the run-up to the 85th Oscars on Sunday night, nearly every nominee for Best Picture found cause to associate itself with President Obama or Congress. For some films, like Argo, Zero Dark Thirty, and Lincoln, it was a natural fit. Others had to try a little harder. Beasts of the Southern Wild managed to score an official White House screening. The makers of Silver Linings Playbook, meanwhile, sat down with Vice-President Joe Biden to discuss mental health reform following the tragedy in Newtown. That strategy, hatched by a former Obama campaign staffer hired by Harvey Weinstein to lead Playbook’s Oscar campaign, didn’t pay off, but it illuminated the convergence of Hollywood and the Obama administration, as well as the lengths a film’s producer will go to establish it as a prestige picture. But not every picture needed that kind of help. Life of Pi, which won the most Oscars of any film on Sunday, was one of the few nominated films whose producers eschewed Beltway politics. 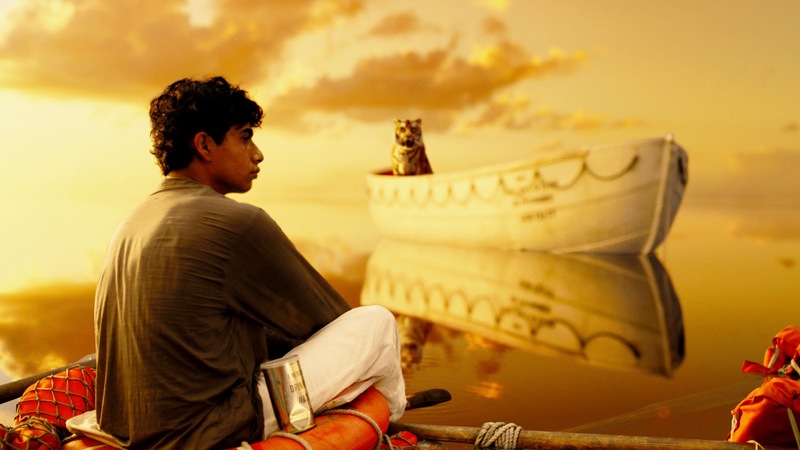 With director Ang Lee’s surprise win for Best Director, Academy voters recognized that Life of Pi was a truly remarkable piece of film – and certainly an outlier amongst the films predicted to dominate the Oscars. Its subject is immense, concerning the nature of reality itself and the existence of God, and despite its stunning visuals, Life of Pi does not make things easy for the viewer. It deals in unreliable narrators, events that may or may not have taken place, and creatures that probably don’t exist – and, most importantly, it asks us to be okay with this uncertainty. In this day and age, asking audiences to accept ambivalence at the end of a movie qualifies as a revolutionary act. This is especially true because the stars and producers of the other nominated films, many of which were based on true stories, seemed to think that the movie that hemmed most closely to the facts would emerge victorious – as if people pay $11.50 a ticket for the “accuracy.” Affleck, on his initial press tour for Argo, was quoted as saying of the story: “It’s all true.” In a Rolling Stone interview on the making of film, he said that he knew he “absolutely had to preserve the central integrity and truth of the story.” Likewise, ZD30 director Kathryn Bigelow touted the “journalistic approach” to filmmaking by her and screenwriter Mark Boal. Daring viewers to find fault in an art form that relies so heavily on creating illusions of time and space may not have, in retrospect, been the wisest course of action. Django Unchained, another Best Picture nominee, also promoted its historical realism. Quentin Tarantino’s slavery revenge film/Spaghetti Western never claimed to be based on a true story, although Tarantino often justified its graphic violence and repetition of a certain racial epithet by citing historical accuracy. In the face of such criticism – and in some cases before it – these films loudly proclaimed their certainty. Only Lincoln avoided the trap of claiming 100% historical accuracy, with Kushner instead delineating that they “adhered to time-honored and completely legitimate standards for the creation of historical drama.” The buffer of history makes audiences far more forgiving of errors. After all, they might say, none of us were there – who knows what really happened? Despite – or perhaps because of – their claims of total accuracy, each film was criticized for finagling the facts for the sake of dramatic tension. Lincoln was taken to task by Congressman Joe Courtney (D-CT) for incorrectly portraying the Connecticut delegation as split on the 13th Amendment. Others complained that the film omitted the contributions of slaves to the battle over their own freedom. Jimmy Carter recently pointed out the false patriotism in Argo, noting that “90 percent of the contributions to the ideas and the consummation of the plan was Canadian.” I imagine the controversy over Zero Dark Thirty likely needs no explanation at this point. So it is clear that filmmakers find value – both in prestige and ticket sales – in closely associating their movies with reality. This seems strange at first glance. We go to the movies to escape reality, don’t we? Why would we desire movies that simply document things that have already happened? Pondering these questions, my mind drifts back to the Artforum article written by film critic J. Hoberman in 2009, in which he described the 21st century as an era of “new realness” in film. He argued that the advent of CGI in the late 20th century created an unconscious desire among moviegoing audiences to forge a clearer understanding of what was real and what was not. This is why the late 1990s gave us films The Truman Show, Fight Club, and The Matrix, all of which feature characters seeking new, more authentic planes of existence. After 9/11, which caused an immediate shift in consciousness in the American psyche, this desire was authenticity was intensified and reflected in films with a more visceral form; the immediacy of War of the Worlds (a sharp turn towards the immediate for Spielberg, who usually lives in the past), the brutal violence of The Passion of the Christ (the highest-grossing R-rated film of all time), and the shaky, hand-held cinematography of the films of director Paul Greengrass (United 93, The Bourne Supremacy). Life of Pi ignored the old models, aimed a bit higher, and was promptly rewarded for it. 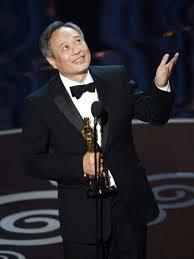 Yes, Argo won Best Picture, and Django walked off with two major awards, but Life of Pi had the most wins overall. Congress should take notice. Consider this: Congressional approval rating is at an historic low. Our elected officials are jumping from one manufactured crisis (fiscal cliff) to the next (sequestration), and neither party seems particularly inclined to offer real compromises that could actually move the country forward. Why is this? Somewhere along the line – either because of gerrymandering, cable television, or a combination of the two – members of Congress came to understand that they would be rewarded for confidence, certainty, and adherence to party orthodoxy. And that they would be punished for admitting doubt or giving any credence to their opponents’ positions. Like those who made Argo, ZD30, Django Unchained, and Lincoln, they think that we will support the candidate that comes closest to representing our “reality,” when what we really want is cooperation and action. Taking all of these films at once, it is clear that ours is a culture struggling very hard to define reality. But what those “factual” movies offer, we don’t need. We do not need more certitude. We need a paradigm shift. We need people who are willing to ask different kind of questions. We need members of Congress who aren’t afraid to say, “It doesn’t matter which one of us is right. There is no right. There is only what we can achieve.” That was the message of Life of Pi, a movie that snuck under the radar but found more fans among the Academy members than anyone expected. There is a startling lack of press coverage for the film this week, despite the fact that it gained more wins than any other film and was the recipient of the biggest surprise win of the night. Perhaps this lack of interest stems from the fact that Life of Pi does not fit into our preconceived notions of what film, or our whole culture, is about right now. In other words, it seems very clear why the makers of Life of Pi did not try to associate themselves with Congress. They didn’t want to stoop to their level. ← Did Obama Rig the Oscars?